Just like the other three series, this predecessor is also the action role-playing video game having a slash and hack gameplay. Here the players will be equipped with the guns arc which they can later transform into the guns. In this game, all the players will be provided with the task of killing and hunting the massive monster that is called as the Aragami. God eater is the character of the player who can easily absorb the energy from the monster for unleashing the burst mode or any other special attack which will help them to deal with several damages caused by the enemies. Artificial intelligence will be controlling the companion characters and will be assisting you while you are in combat. The players can easily activate this engage system for sharing the combat perks along with playing cooperatively with many more players in multiplayer mode because you can easily team up with 8 players at maximum. 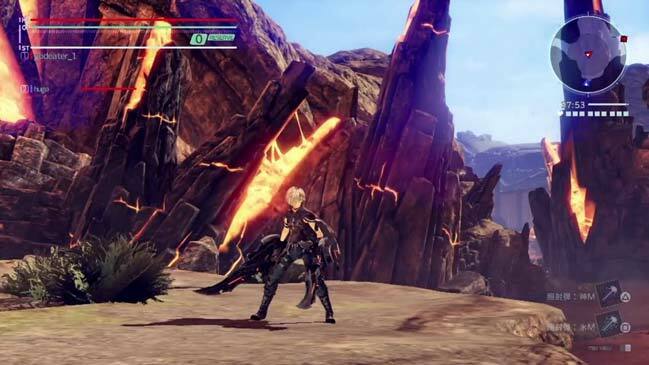 In this predecessor series of God eater, you will be getting a proper console where you can play this game efficiently just like you have imagined. You will be able to slay all your enemies with dynamic fighting because it will enable you to enter into the better speed action. If you love to roam in this game, then you will be provided with the newly incorporated fields. If you think that all the God Eater series has been mastered by you then you are wrong because here in this game you will be fighting new Aragamis that are very strong. You will be able to experiment with several original weapons. Raygun: This is the radiation gun which you will have to use for a longer period for increasing the radiation. You can easily perform the airborne attacks with this weapon. Whenever you are moving you can also use this gun because the power will reset whenever you are stopping the shot. Biting edge: This weapon will be consisting of mow down blades along with dual wielding. You can easily perform the airborne attacks with this weapon. Accel Trigger: This weapon will help in strengthening all the players in a drastic way whenever they are in a difficult situation. There is no restriction when it comes to using it as long as you are maintaining the conditions. Every time God Eater comes up with the new series, they incorporate an entirely new gameplay with more original weapons and strong characters and definitely better Aragamis. So this action role-playing game will drench you into this virtual world in such a way that you will lose the touch with reality. So with excellent graphics, it has now released the 3rd series so it makes it the best in the market. This game comes with the gameplay of killing enemies who are completely immune against the conventional weapons and people are encountering huge collapse in the urban civilization and the humanity is getting drifted away towards the extinction due to same destruction every day. So if you have the zeal to fight for your place, then create your own character and help in the survival of the humankind with God Eater 3.